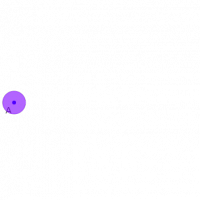 A simulation of a projectile created using Mechanical Expressions. The Mechanical Expressions model for a projectile involves constraining the coordinates of the point, giving the coordinates velocity (vx,vy) and setting the constraint to be free to accelerate. A mass has to be given to the point. Simulating the motion is done in the app.